This interactive workshop will provide you with practical strategies on how to hone your skills and specify your role in the fundraising process to create impact for your organization in today’s changing nonprofit environment. Discover innovative best practices that you can apply immediately and engage in peer to peer learning to amplify your fundraising success. Krista is recognized as an innovative leader and has over 16 years of diverse nonprofit experience from organizations in San Diego and New York City. Her specific areas of expertise are organizational development, philanthropy, and grassroots advocacy with professional achievements in: scaling organizational impact, developing successful teams, directing fundraising operations and business development, designing successful programs and special events (and getting rid of ones that aren’t successful), and leading culture change and transitions. Krista earned a certificate in event management from University of San Diego in 2010, an MS in Urban Affairs with a concentration in nonprofit management from Hunter College in 2006, and a BA in Theatre with a minor in education from Marymount Manhattan College in 2001. Krista is currently serving on the Next Generation Committee for the Association of Fundraising Professionals International. Krista is a member of the Association of Fundraising Professionals (AFP) and the Association of Talent Development (ATD). In her free time, Krista enjoys dancing whenever possible and supporting her husband Javier operate their San Diego café and catering business. Kristin ​is an innovator and disruptor whose nonprofit work has always intersected with the innovation community. Described as a “social impact artist” Kristin started her first nonprofit at the age of 22 and has formed several nonprofits and a statewide coalition on gender based programming . Kristin has learned to apply creativity, strategy and startup innovation practices to organizations all over the world. She received her MBA in Nonprofit Management from Regis University in 2003, but as a lifelong learner her training tool box includes a background in Lifestyle Design at Stanford University, Mindfulness Training at Google, Strategic Planning at the Institute for Cultural Affairs, Facilitation practices from Bath Kanter and Lego Serious Play. She has raised over $75 million dollars for local, national and global organizations. In her current role as Development Director at Vertue Lab, Kristin is developing a $5 million dollar fund to provide seed funding to accelerate the development of clean technologies to impact climate change and support the green economy. 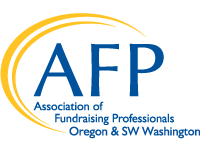 Kristin is a member of the Association of Fundraising Professionals (AFP) and the NWPGRT. In her free time, Kristin enjoys creative writing, art and live music, and volunteering for international and refugee causes. Her family is on a mission is to #scatterjoy to the world.